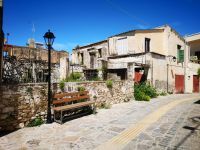 Κωδικός: 656 Nice traditional property with an already taken building licence for the renovation project! Κωδικός: 354 Traditional house for sale at the village of Roumeli only 2kms from the beach. Κωδικός: 712 Large property for renovation of 200 sq.m placed on plot 3.141 sq.m with extra building allowance!